Harry Maguire and Dele Alli scored with headers in a 2-0 win over Sweden on Saturday, earning England a match against Croatia in the final. 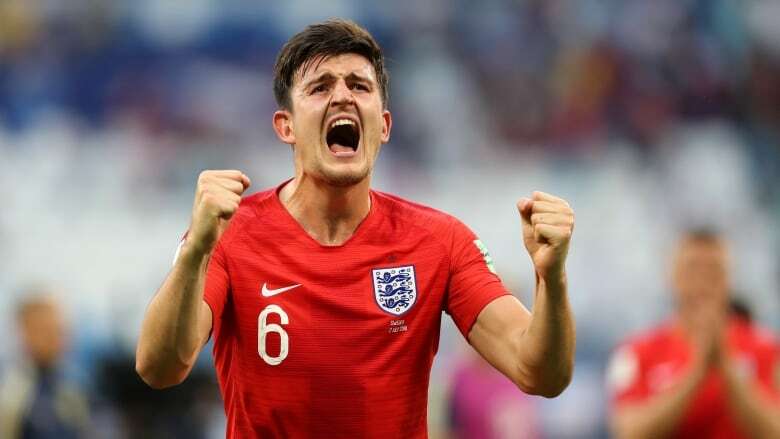 Harry Maguire and Dele Alli scored with headers in a 2-0 win over Sweden on Saturday, earning England a match against Croatia for a place in the final. Yet the performances of Gareth Southgate's squad — the second youngest at the tournament — are being celebrated wildly back home. Even at Wimbledon, the home of lawn tennis, updates of England's goals were spread by fans watching or listening to the match on their cellphones. There was another against Sweden, with Maguire heading in a driven corner from Ashley Young in the 30th minute. It was England's eighth set-piece goal of its 11 in Russia, and the centre back's first in international soccer.